Wouldnt have my eyebrows done any where else . I have been going there for years. Really pleased, its like going to see family. Hope Anita never gives up! 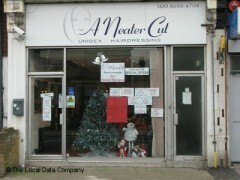 The staff are great, always friendly and the quality of hair dressing is very high. I have always been so pleased with my hair, whether just a cut, colour, or perm. They are very good with children too. I thoughly recommend this salon. Very polite, fun crew. They make you feel very comfortable. Could have done with a coffee though!